A sweetheart pickup for a legendary guitar. The Seymour Duncan Jerry Donahue pickup delivers traditional, sweet and even tone that just drips with all the sparkle and twang you'd expect out of a truly righteous Tele guitar. When Jerry Donahue needed a touring guitar with the exact same sound as his prized '52, he turned to Seymour Duncan, who accurately duplicated the warm, punchy tone of their bridge pickup. 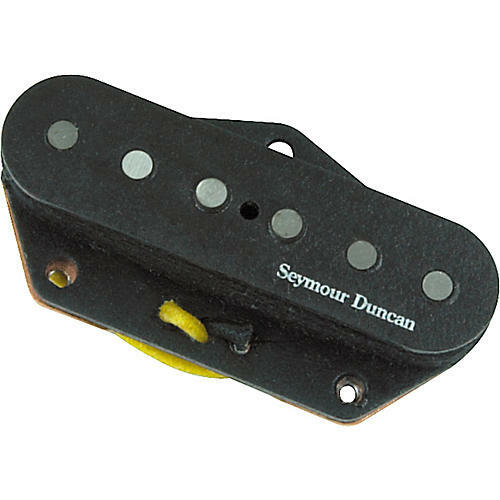 Seymour used Alnico II rod magnets and a special wind for increased sustain. Symmetrically staggered pole pieces mirror the fingerboard radius and assure that the Jerry Donahue pickup gives you exceptionally balanced string-to-string response.